In partnership with the Blue Ridge Children’s Museum. 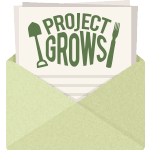 Project GROWS will host our first-ever summer camp July 8-12, 2019 (9:00 – 12:00) for ages 5 – 8. Cost is $100 per camper. Join us for an exciting week of summer camp at the Project GROWS farm as we experience the journey of a vegetable from farm to table! Little GROWers will work together to make delicious snacks from vegetables they harvest themselves, taste-test a variety of produce, and spend time tending the garden. 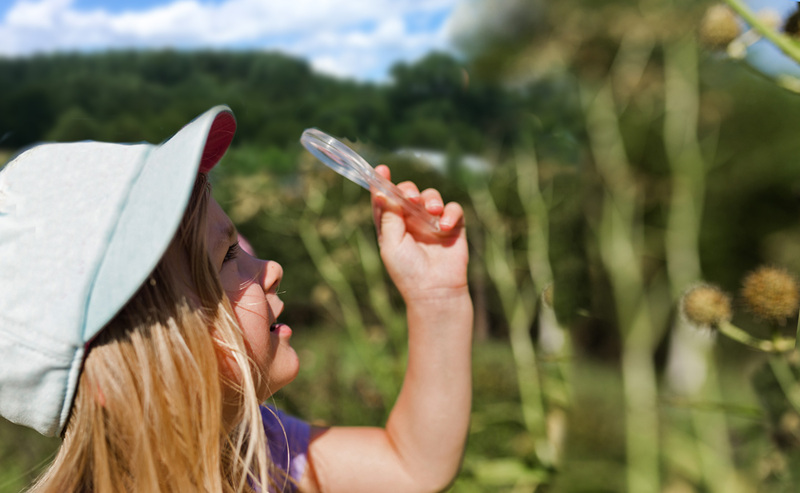 We’ll also go on scavenger hunts and play games to explore the many colors of the farm. Learn about our amazing pollinator friends like bees that make farming possible, the mystery of soil and compost, and the benefits of farm animals like chickens. With help from camp staff, Little GROWers will complete a Five Day Challenge to prepare and eat a healthy snack every day themselves. Campers will leave with recipes, gardening and food preparation skills, and an appreciation of where our food comes from! Click on the logo below to register. During June and July, Project GROWS partners with organizations like the Boys and Girls Club of Waynesboro, Staunton, and Augusta County and the Summer Learning Loss Prevention Program (a partnership between the Staunton-Augusta Family YMCA and Staunton City Schools), to host youth on the farm for weekly field trips over an eight-week period. By making regular visits to the farm during the height of the growing season, students experience the farm at full production, plant their own garden plot and see it through until harvest, learn about topics like pollinators and compost, participate in scavenger hunts and gardening tasks, and try their hands at cooking and preparing a wide variety of produce. Interested in setting up a weekly summer field trip for your organization or program? Every plant is our teacher.